Blizzard is still hip-deep in the StarCraft II multiplayer beta, but fans of the sci-fi real-time strategy game should expect a pair of important updates over the next couple weeks, including the release of the game's Galaxy Editor. 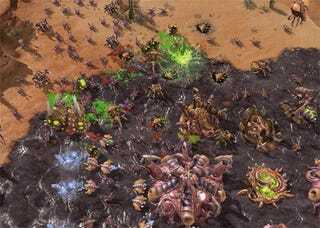 StarCraft II lead Chris Sigaty says that the developer is planning to release the game's map and mod editor for those already enjoying the PC version of the game's beta sometime this week, letting players add their own creations and game mode customizations. Expect that alongside a substantial patch to the game very soon. Soon thereafter, possibly some time next week, Blizzard plans to release the long-awaited (by me, at least) StarCraft II multiplayer beta for Mac users. Expect more details on StarCraft II from Kotaku later this week.